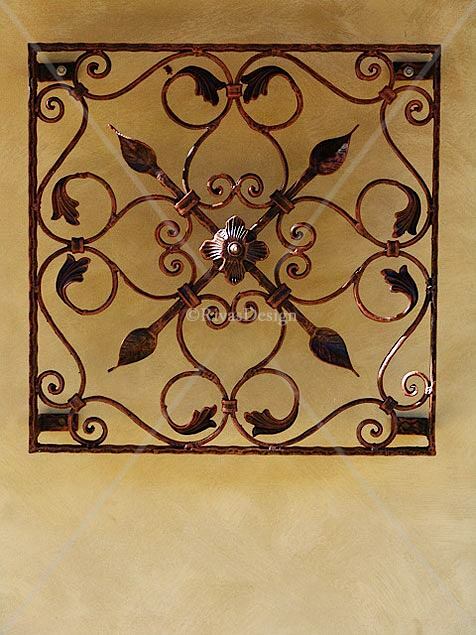 This small square trellis piece is perfect for narrow areas or small garden spaces. The square design allows you to use it alone or as a set, as you would small art works on an indoor wall. Hanging three upright in a narrow space works perfectly, as do individual pieces spread throughout small courtyards. 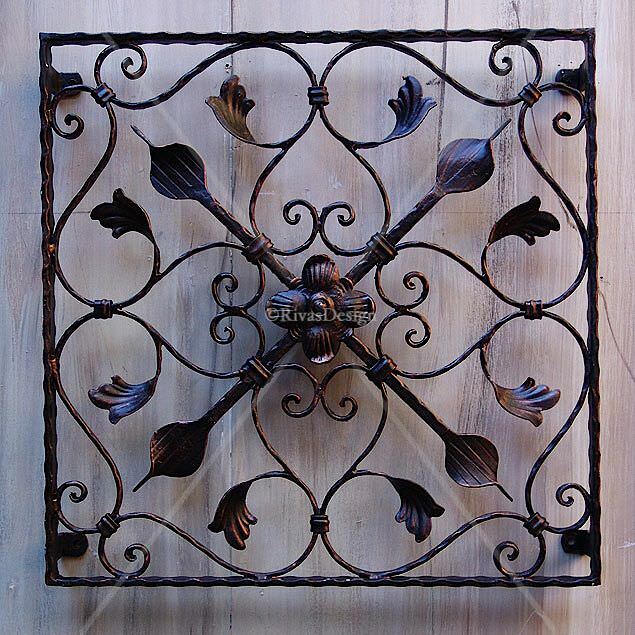 Hammered edged iron and small leaves together with the speared central detail are a strong combination in this design. When this trellis is hung as a set it looks quite good having colour variations in the mix like a verdigri piece between two black copper trellises. This makes you read each trellis individually and adds more interest to the set. This 550mm square trellis was designed for smaller spaces that need a lift. Ideal for narrow spaces, it works well hung across or down a wall as a set of two or three. This trellis sits off the wall casting gorgeous shadows behind it in sunlight spots. 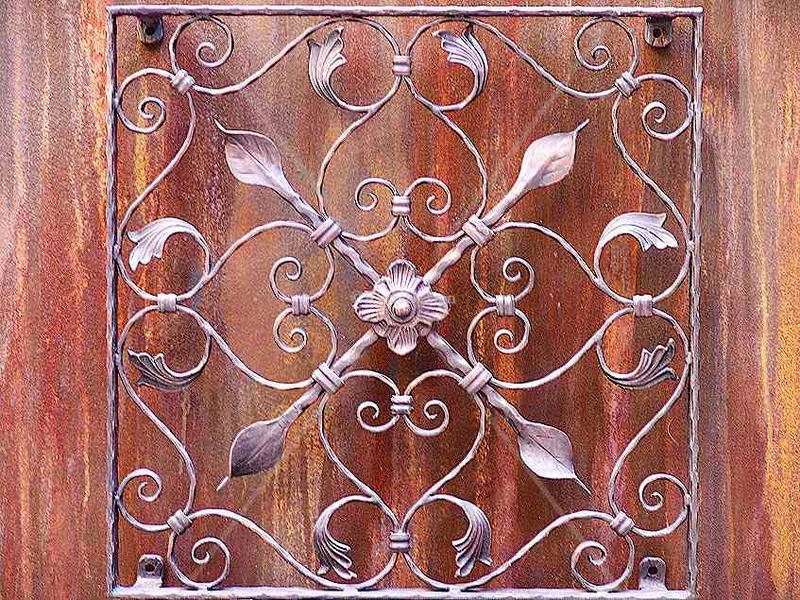 Individually made in solid wrought iron & hot dip galvanised so it always looks good outside. 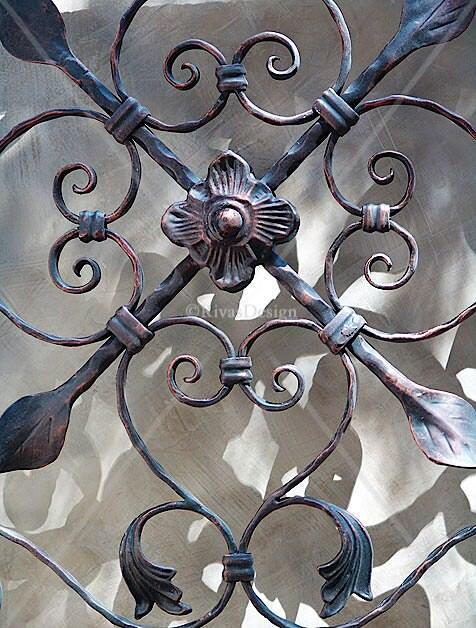 We hand-finish this trellis in black or black brushed with copper.